Social prescribing is the term used for how the Stennack Surgery refer patients to ‘services’ in their community instead of offering only medicalised solutions. The first point of referral at the Stennack Surgery is normally through Ruth Todd our Community Co-ordinator or Manda Brookman our Community Maker. They can talk to patients about the things that matter to them. Together they can co-produce a social prescription that will help to improve their health and wellbeing. However patients can get involved by just coming down to anyone of the activities on offer from the Community Hub. The community activities range from yoga classes to pop-up cafes, from walking clubs to gardening, alongside a host of many other groups and activities. Social Prescribing is really taking off here at the Stennack Surgery and is available to absolutely everyone. Research shows that patients who are lonely or isolated; patients with mild mental health issues who may be anxious or depressed; and, those who struggle to engage effectively with services often find huge benefits from Social Prescribing. It is also relevant to people with wider social issues such as poverty, debt, housing, relationship problems, all of which impact on their health and wellbeing. Very often these patients may have frequent repeat visits to their GP or to their local emergency department – effectively trapping them in a ‘revolving door’ of services. 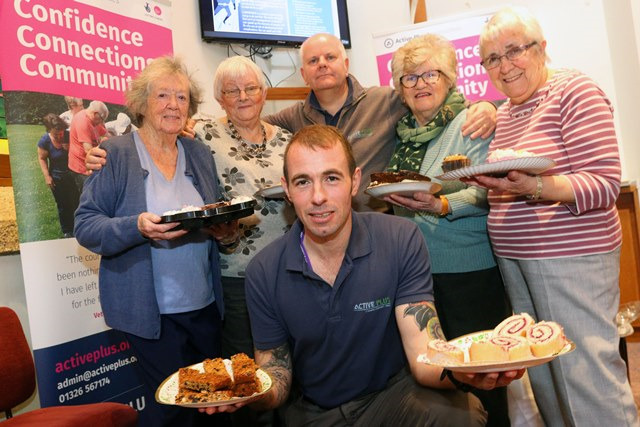 Every Tuesday between 10am-12noon our Stennack Surgery Connected Communties Group run in association with Active Plus meet in the Waiting Room. With different activities every week you can take the opportunity to learn and try new things, get more active and become more involved in your community. There really is something for everyone from Pop-up Cafes to Pottery to Energy Saving Advice, and there will always be a smiling face and a cup of tea! A Diabetic Support Group runs from the Community Hub every Thursday from 10am-4pm. The group is run by Spencer Wimbleton from Diabetes UK and help and advice is available for Diabetic patients, Patients who are Pre-Diabetic with raised blood sugars, as well as those who would just like to find out more about the risk of Diabetes and how to reduce these risks. Diabetic Risk Assessments are also available. A Nordic Walking Group has been formed. The six week programme is scheduled to kick start on Wednesday 27th February at 10.00am - 11.30am. The Stennack Sensory Garden is in full swing, a working group is currently meeting every Thursday between 9.30am - 11.30am. Their aim is create a relaxing green space at the front of the Stennack Surgery for all to enjoy. The project will take place over a 12 month period, if you are interested in being involved please contact Manda Brookman from Volunteer Cornwall by email at MandaB@volunteercornwall.org.uk or ring Reception and ask to speak to Jemma. The Move it or Lose it fitness classes have been developed by experts to help you to improve you flexibility, agility, aerobic health, balance and strength for greater strength. All exercises can be done seated or standing depending on your ability.